Our 5" x 12" 2 Mil Clearzip® Lock Top Hang Hole Zip Bags are used to seal and display (hanging on a display hook) standard weight products and are the most popular thickness for shipping parts, clothing, food storage and more. 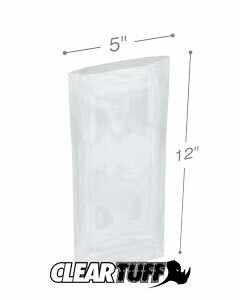 5" x 12" 2 mil Hanghole Clearzip® Lock Top bags are made from low density polyethylene and can be recycled. Reclosable, hang hole 5 x 12 .002 plastic bags feature impressive clarity and make storage and organization simple for industrial, food service and healthcare applications. 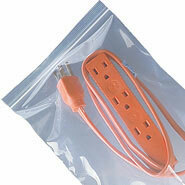 5 inch by 12 inch 2 mil Zipper Locking bags meet FDA/USDA requirements for use in food packaging and storage applications.